When you choose to outsource your custom metal fabrication, this should be a sound investment. It should be a choice that helps you save money in the long run. By outsourcing the work, you do not have to worry about buying costly equipment, hiring the appropriate workforce, and the pressure of producing quality work. In today’s blog, the metal fabricators at Fort Miller FAB3 would like to share with you some ways you can save by working with your local metal fabrication shop. From laser cutting to robotic welding to CNC machining, we provide New York and neighboring states with all of your metal fab shop needs. Learn more about our services, and contact us today to begin your custom project. As we’ve mentioned before, it’s important to have a solid understanding of your needs before you take your project to your fabricators. However, with that said, it’s also important to leave yourself enough flexibility to heed their expert advice. This is something that is often overlooked. Customers often bring projects to their fabrication partner and submit them without ever going over the design and proposal with a fabrication engineer. What clients often forget is that most fabricators have probably worked on similar projects and, therefore, have ideas for improvement—material recommendations, design modifications, etc. By leveraging the expertise of your fabricator, you can create a more efficient and cost-effective process that will save your business money in the long run. As you likely already know, the cost of your metal fabrication projects is greatly dependent upon your choice of process. If you have been adhering to the same kind of technique for years, you may want to discuss alternatives with your fabricator. They may be able, for example, to tell you that altering your design so that it’s compatible with a CNC machine may actually save you materials and money in the long run. At Fort Miller FAB3, we are more than happy to help explore the various techniques that can help you build a quality product while also improving bottom-line operational costs. Material costs are often the most costly part of any project, especially in the metal fabrication industry. It is, therefore, essential to refine and trim material usage in all steps of the process. For instance, if you are prototyping, you may not want to use stainless steel—even if that’s your chosen material for the final product. Instead, you might want to opt for a cheaper aluminum. 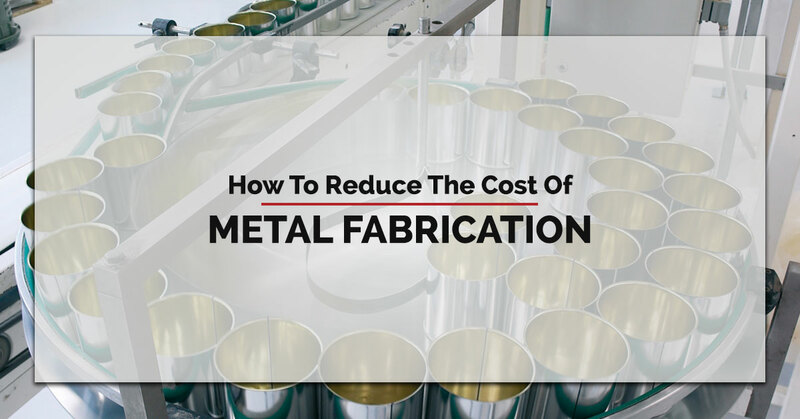 Whether you are using carbon steel, stainless steel, aluminum, sheet metal, or some other material, consult with your fabricator about the possible ways to reduce material spending. Proximity can be a huge cost-saving advantage when picking a partner. Having a local metal fabricator comes with a number of perks. For example, rather than coordinating an expensive, time-consuming trip to another part of the world to tour a facility, having a local partner will allow you to easily view the facility and see the operation first-hand. Additionally, when any sudden adjustment needs to be made or an unexpected problem emerges, this will make solving the problem much easier—and cheaper! However, with this said, we don’t think that you should choose a mediocre fab shop simply because they’re close. At the end of the day, the finished product is the most important aspect. At Fort Miller FAB3, we take pride in being a local metal shop that produces the highest quality work. Our commitment to excellence is evident at every stage of the process. The greatest perk of working with an experienced and dedicated fabricator is the assurance that comes with having a committed and expert partner. When you find the right partner and you are direct with your goals, they can work with you to fulfill your needs in the most efficient way possible. Whether you need turn-key metalworking, bending, plasma cutting, or some other fabrication project, we are poised to help and to establish a fruitful, long-term business partnership. We serve New York, Massachusetts, Pennsylvania, New Jersey, Rhode Island, New Hampshire, Vermont, Maine, Delaware, and Connecticut, and we are more than happy to take on custom projects and match our capabilities to your needs. Schedule your consultation today!